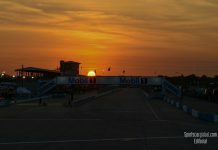 Now that the dust has started to settle after what was certainly the hottest and arguably one of the most exciting Le Mans 24 hour races in recent history, SCG got together with Jono Coleman who drove for the SO24 team at last year’s event to discuss his thoughts on the race and some of the twists and turns. 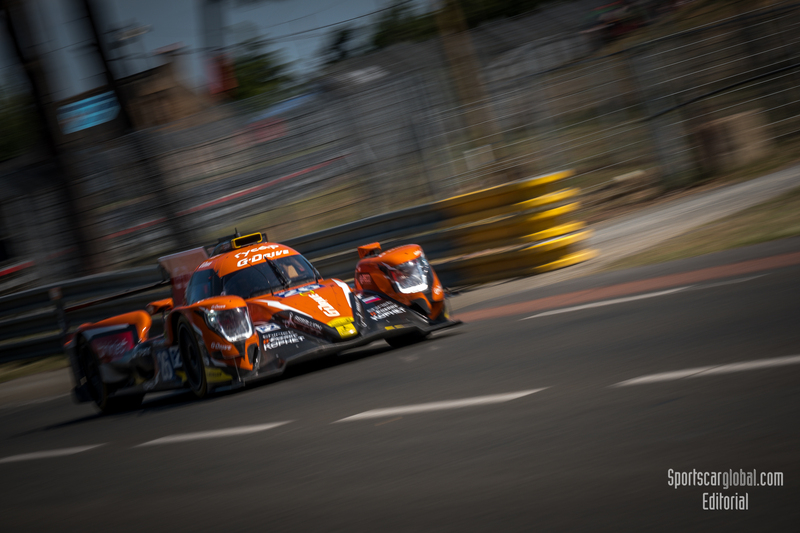 With the ByKolles non-hybrid failing after only a few laps and only two of the five factory LMP1-H hybrid’s finishing the race, what are your thoughts on the reliability in this class currently? 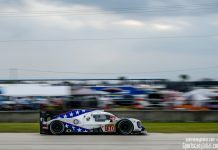 “One of the big headlines of the race was the LMP1 reliability. As you could see from qualifying the factory teams had clearly done some great work to claw back some of the loses brought about by the regulation change but you could already see the signs were on the wall prior to the race that the LMP1s were not bullet proof. There is clearly a balance in terms of providing a test bed for new technologies but I think there is a point where it is beneficial for the manufacturers and where it actually becomes a noose around their neck. “The first question I would have to ask is, will the technology end up being used in this format in road cars and being used in this manner? Is it therefore relevant? 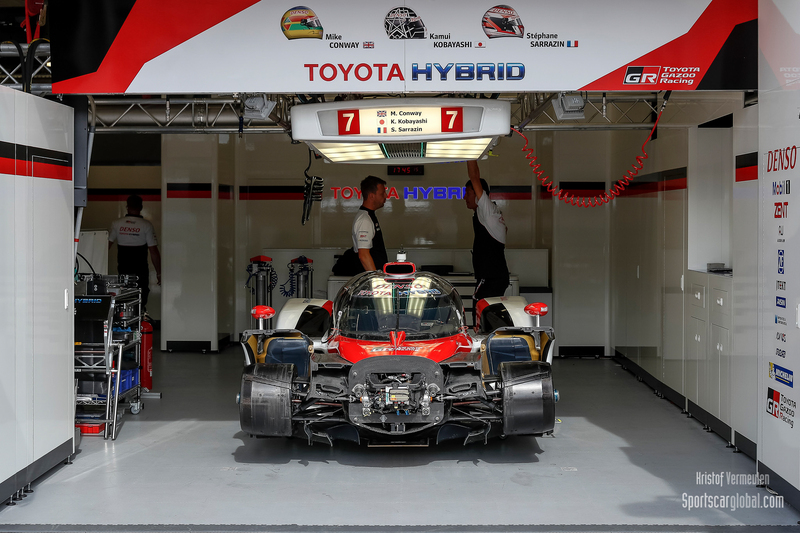 If the answer is No, then actually the unreliability becomes a detraction from being able to sell the hybrid cars of today and tomorrow as the customer could potentially think they will be unreliable although what is being raced is not relevant? Les 24 Heures du Mans 2017. Photo: Kristof Vermeulen. 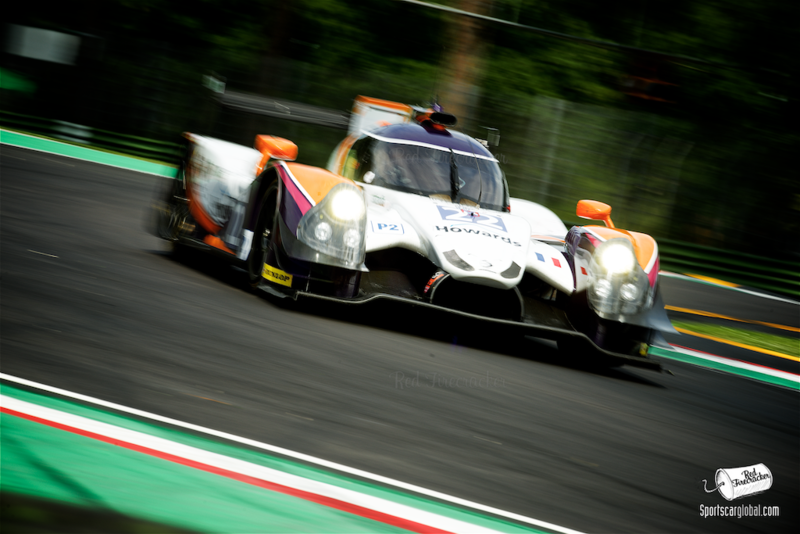 “I’m sure if we were fully shown what the factory teams were up to it would be highly impressive but when you take a step back, all those the hundreds of millions of euros spent by the factory teams and the race nearly ended up with a car you can buy off the shelf (Oreca 07 LMP2) with a budget of probably 1-2% of the factory teams, beating them as neither could execute a clean race. You have to ask yourself is this an intelligent way of spending money? “All I hope is that the factory teams and regulators can get to an equation that is a good enough to encourage other marques to come and get involved rather than potentially lose another 1 or 2 manufacturers. At the moment there seems to be talk in the press of Porsche looking at other options, Toyota saying you can’t yet make the technology last as well as Peugeot flirting with a return but potentially not being happy with the cost level. I have a lot of respect for what the ACO has achieved so I am sure they will get it right but it would just be nice to be seeing more stories of people wanting to get involved rather than some of the negative ones of late to give more confidence that the regulations and technology is at a good level. Moving on to the disqualification of the Rebellion car for a hole being cut in the rear bodywork, do you think that was an appropriate response? “I take a very simple view on these things which I am sure will be different from some other people and possibly controversial. Some will say the #13 car was in contravention to the rules. It is black and white. The rule was broken therefore they are disqualified. 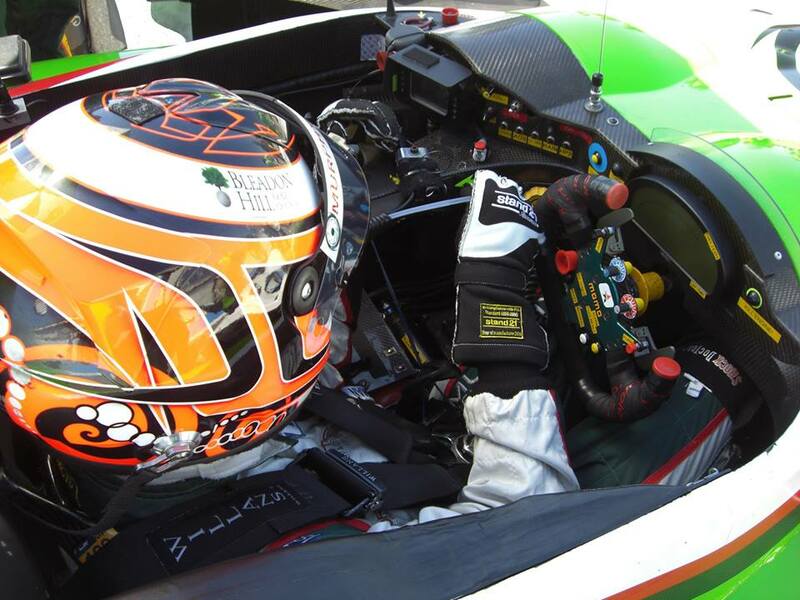 “I would take a different view in so much as the car was scrutinised prior to the race and deemed to be legal. The fact that the car was modified during the race that provided no performance advantage on the circuit for me made the ‘modification’ in the spirit of the race. I guess in essence my view is you put your equipment on the track at the start of the race and get to the end as quickly as you can providing you don’t cheat to gain an on track performance advantage or do something which endangers the safety of drivers/pit crew/spectators. “I always feel you have to remember that these cars are not cheap to turn up and operate and therefore you want to encourage people to be a part of the package. Rebellion and their partners would have spent in the region of £500,000 to enter and run the #13 car for that one race and then you exclude them for a hole in the bodywork that provides no performance advantage? Somewhere common sense should prevail. I always believe you should beat someone fair and square on the track and I’m sure none of the others would have wanted to benefit on a minor technicality like this. Rebellion No.13 end of race scrutineering – modification hole covered by vinyl. 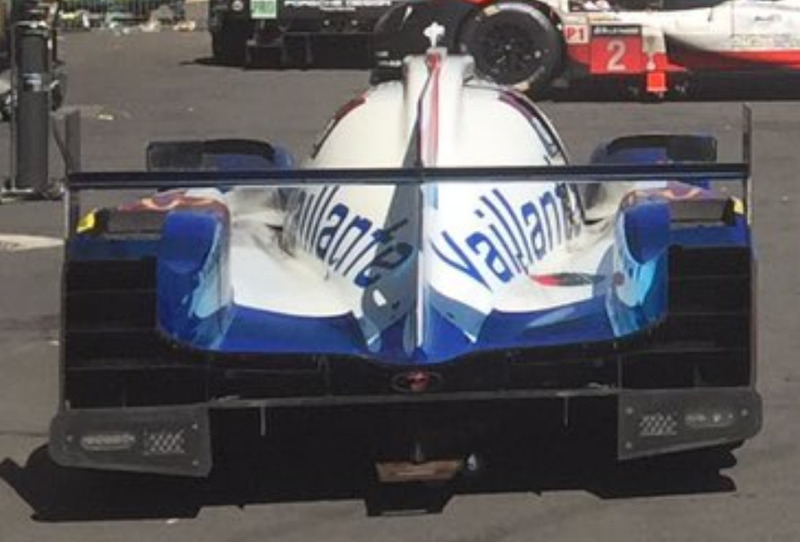 We wholeheartedly agree with your thoughts on the Valliante Rebellion, how could they complete the race (without replacing the solenoid) any other way? Indeed it is totally the spirit of endurance and no performance advantage. Perhaps the issue was more that the team tried to hide the hole rather than the fact that they had made the modification? “I guess some would say they should have repaired the car and in which case they would have not been in the position but unlike some people I don’t have a disconnect on the cost of competing and rule-makers should be encouraging people to want to come back to play whilst maintaining a spirit of competition, endurance and fairness I guess. And for a spectator the sport should want to keep as many in the race fighting for the victory as possible. Moving on to the penalty handed out to G-Drive and Roman Rusinov following his collision with the #88 Proton Racing Porsche in the early part of the race. Encouraging good driving is key in a championship where there are different types of cars racing at varying top speeds, would you say that the sanction handed out was appropriate? “This is another interesting case. Firstly I have to say Eduardo Freitas and his team do a fantastic job and they are head and shoulders above other Clerks I have witnessed. Their’s is not an easy job and the fact that they run complex races so professionally and without causing competitor anger is a mark of their competence. “We can assume that Rusinov was at fault by the decision. Clearly taking two cars out of a 24hr race (and so early into it as well) was not acceptable and it was right that a penalty should be given. My question is whether the penalty issued, when given consideration is correct. Penalising the car for 3 minutes at the next race sends a clear message to other competitors but I believe you have to consider the knock-on effect. This sort of penalty basically rules the car out of the next race barring some dramatic luck. “My point: is that really fair to the car’s backers/other drivers/team when it was an individual that was at fault in this instance? Just putting a figure quickly on ruling the car out of the next race is effectively like giving a £150,000 fine in my opinion. I’m not going to say this is an accurate cost to run the car for the race but it starts to give you a flavour of the penalty really handed out and is this fair to say Pierre Thiriet that turns up and pays a budget to the team separately from G-Drive/Rusinov? “In my opinion it would have been better to have excluded Rusinov from the next race but allow the car to take part unimpeded. The race officials may be privy to information that we aren’t but it seems a fairer penalty not to disadvantage some of the innocent parties in the equation. Another somewhat quirky turn of events at this year’s race was the Toyota pit lane incident that apparently hastened the demise of the #7 car. Do you have any thoughts on this? “The interesting point was how the incident between Vincent Capillaire and Kamui Kobayashi has been publicised in the press. Now I don’t know whether this has come from Toyota or whether the context has been poorly reported but for me it does not seem that the picture painted is entirely fair. “Having worked with Vincent last year I got to know him and what makes him tick. The two relevant points are are that firstly, since I started racing cars in 2001 I don’t think I have come across anyone that was as disciplined and detailed in their preparations. Vincent is totally passionate about his profession and someone that I respect a lot how he operates at the race track. Secondly, he is as big a fan of the race as anyone of us and I’m sure by his actions, like a lot of us, he was wishing Toyota to win and break their duck. In the moment he approached the car to give his encouragement he or anyone of us would not have given thought that you are wearing a predominantly orange race suit and that you may be mistaken as a Marshal. Therefore, trying to paint a picture that it was his fault the car failed for me is totally unacceptable. “Sadly, in today’s society there is a blame culture. This is not correct. The reality is the car and the technology was not strong enough to take all eventualities of a 24 hour race, whatever they may be. Simple. Toyota have to come back stronger. Many thanks for your thoughts and expert opinion, I hope this will be the first of many with us and good luck with your plans for the remainder of 2017 and beyond! 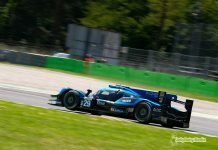 Jono Coleman in the S024 Ligier JSP2 at the European Le Mans Series, Imola, 2016.